Radiohead has confirmed two shows at New York City’s Roseland Ballroom to take place September 28 and 29. Tickets will go on sale at 10:00 AM on September 26 at www.ticketmaster.com. There is a 2 ticket limit per household. All tickets will be available for pick up at will call the evening of the event beginning at 6:30 PM and entry into the venue is required immediately upon receipt. No tickets shall be distributed prior to the event. In addition, Radiohead will appear on a very special one-hour episode of The Colbert Report featuring multiple songs and interview segments. And as previously announced, Radiohead will be musical guest on the September 24 season premiere of Saturday Night Live. 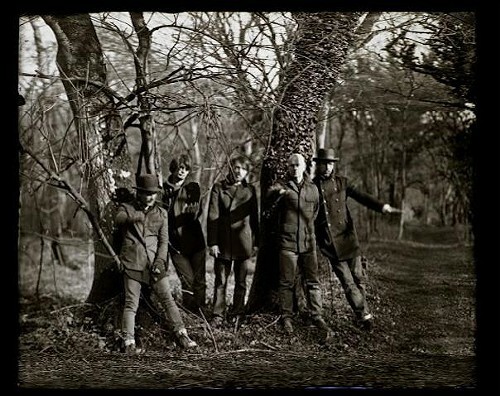 These TV performances and live shows are the band’s first appearances in the U.S. since the release of its current album The King Of Limbs, which it made available digitally at www.Radiohead.com on February 18 and released to physical and digital retail via tbd Records on March 29. UPDATE: According to this tweet, supporting acts will be Four Tet, along with fellow producers RocketNumberNine, Falty DL, and Pearson Sound. Also, both shows are now up on the Ticketmaster page and it looks like tickets will cost $65 plus $14.75 in fees.